Surrey Memorial Hospital since 1957. Join us. 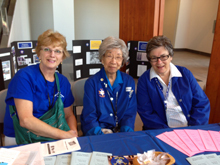 It was the Surrey Memorial Hospital Auxiliary that formed in 1947 (officially in 1957) and spent the next twelve years working, lobbying and fundraising to open the first 103-bed Surrey Memorial Hospital (SMH) in 1959. 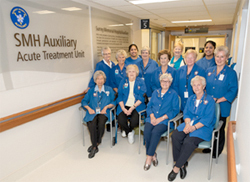 Since then, nearly $6 million has been raised through the remarkable volunteer efforts of the women and men of the SMH Auxiliary for the care and comfort of patients and their families. 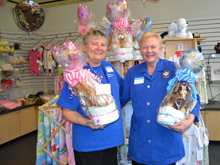 The most recent efforts of the Surrey Memorial Hospital Auxiliary resulted in a $1 million donation to support the NEW Surrey Memorial Emergency Department, which opened October 1, 2013. In recognition, the Acute Treatment of the hospital is permanently named for the SMH Auxiliary (see left). 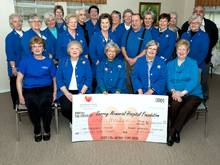 In years past, the Auxiliary raised $1 million for the pediatric’s ward. Current efforts are to raise $250,000 for the Jim Pattison Outpatient Care & Surgery Centre, which is an important facility of the Surrey Memoral Hospital Campus. In recognition, the Atrium will be giving the SMH Auxiliary name. 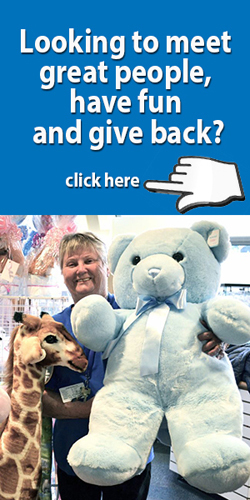 All money goes to patient comforts – what the patient does not get from hospital funds. 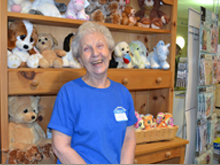 We’re always looking for volunteers who have time on their hands and want to give their energy to support the community in a positive manner. Join us!